I wanted to share a little bit about how I view fashion. As I mention in the "About" page, I certainly don't follow Runway fashion, I stick with everyday, "do-able" fashion. Having said that, I have rules in my mind that I typically stick with. I have price-points in my mind that I abide by. It's very interesting when someone goes shopping with me for the first time. Typically they are surprised to learn that I won't pay above a certain price for items. Let me expand a little - if I'm shopping at Target or Old Navy, I don't want to pay more than $10-$15 at the most on a shirt. However, if I'm shopping at Banana Republic, the Loft, White House Black Market, or Limited I think its completely acceptable to pay $20-$25 for a shirt. I have the same philosophy for every type of clothing, including shoes & accessories as well. I'm a clearance seeker! Nearly every time I visit Target, I scan through their clearance section. Honestly, you cannot believe how many items of clothing I've have gotten off those clearance racks! This stroll also typically includes a scan of clearance shoes, accessories, & home goods! (Did I mention before that I LOVE Target!) Along the same lines, typically the only way I buy items at stores such as Banana Republic, the Loft, White House Black Market, Limited, etc is to go straight to the clearance sections. Unless they are having a big sale, that's typically the ONLY section I even look at! I challenge myself to find good deals on items I'm seeking...i.e. this fall I wanted to find a Shirt-dress (more on this soon), a pair of black printed pants, and a maroon dress. So whenever I'm out-and-about I make sure to peruse for these items...it may take some hunting, but I typically find what I'm after for a good price! I believe there are certain items that are worth spending more money on (i.e. good pair of jeans & makeup). I think I'm a "color mixing freak"! Somewhere along the line the quote from Clinton Kelly on TLC's What Not To Wear stuck with me..."things don't have to match, they have to go". Its a pretty rare day that I'm not mixing colors together, and I hope to show you example after example on how this can be done. It's actually gotten to the point that I can't stand it if I don't mix colors...hmm. 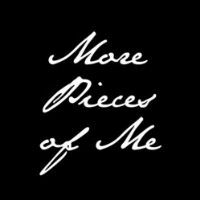 My goal for this blog is to not only alert you of deals I run across (because fashion doesn't have to be expensive), but to also help you see your current wardrobe in a different way...pairing pieces together in a new way, mixing colors that you already have together, & encouraging you to put time into yourself!! 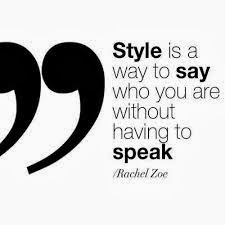 Do you think the way I do...what are your style philosophies? Have a Happy Thanksgiving and may your day be blessed spending time with those you love!